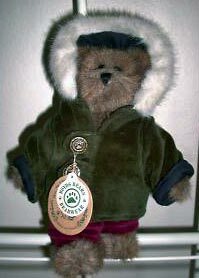 issued in 1998, retired in 1999; Matthew stands 8" tall and wears a hunter green winter coat. He was issued in 1998 and retired in 1999. He has a current guidebook value of $37..